Update post – Rhapsody blouse and Lutterloh dress. I have taken a couple of photos of me wearing the love notions Rhapsody blouse and the Lutterloh dress. 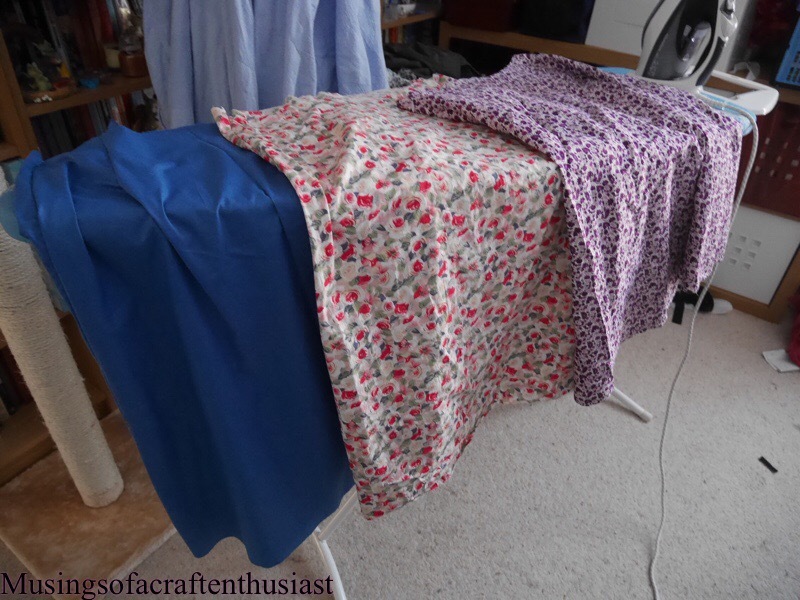 First up is the Rhapsody Blouse, I have given it a good iron, basically I ran it under the tap and then ironed it wet, the fabric is a nightmare to get the creases out. I difinitely should have made the next size up, you can see in the slightly blurry photo underneath this that the shoulder seam is quite away from my shoulder. This will be fixed by going up a size. The rest of the fit doesn’t look too bad but I’m wondering if the whole garment might benefit from the extra fabric. I’m still not keen on the sleeves, the next one I try will probably be the 3/4 sleeve with flared cuff. It does appear to have a slight issue with sliding back, I know that there is a way to fix this, I just have to remember where I saw it. The gathers at the bust line need to be more even and also look like they should be gathered in a slightly different place, as I said in the previous post the front is cut far too low. I also think that the top line of the skirt piece needs a bit of smoothing out as well. I think that the drag lines are caused by the dress sliding backwards but maybe it could do with a small sway back adjustment. The arrow is pointing at where the point where I didn’t transition the top into the skirt portion correctly, which means it doesn’t drape properly. 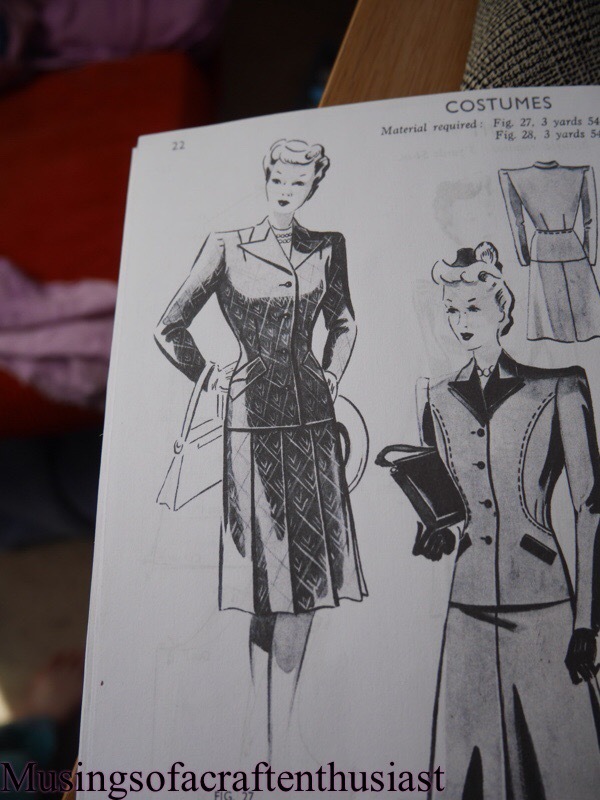 As a lot of my sewing books and patterns have been boxed up I spent some time flicking through my Lutterloh books and downloads I found a pattern I thought I would quite like to try. This is a lesson in if you are going to make a muslin use a fabric close to the one you are going to use eventually. I actually made this up originally before going to Disney but put it to one side so I could make my light summer dress. After tracing it off and adding the seam allowance I made it up in my usual muslin, which was a mistake, I could see just by looking at the drawing that the fabric was a lot drapier. 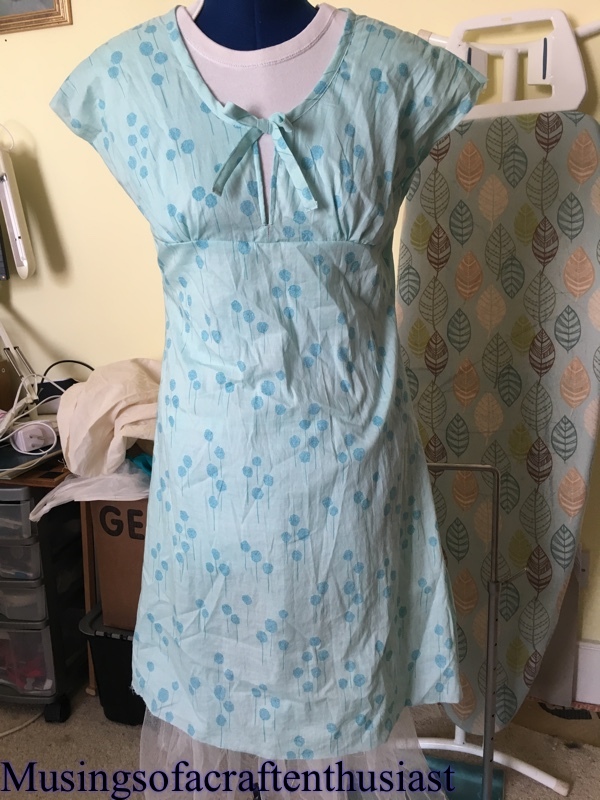 So I left it on the dummy and used the neckline for my light summer dress. After getting back from Florida I made some changes to my dress makers dummy, I’d noticed while draping my dress that the proportions weren’t quite right, so I took the cover off drew some lines on it and put it on myself and measured around the lines, then put the cover back on the dummy and re-did the bust, underbust and hips. It isn’t perfect but it is a lot closer. 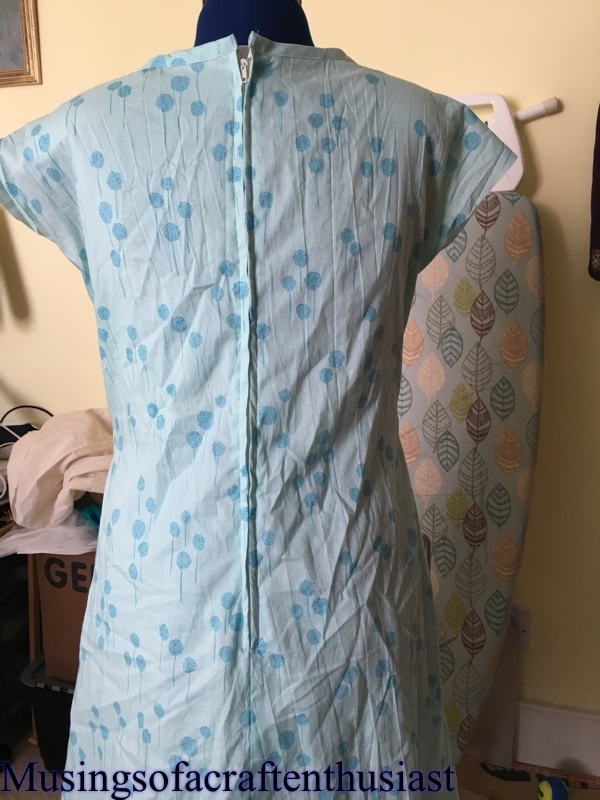 After making the dummy alterations I put my muslin back on to check the fit, as it had looked rather big which confused me somewhat as the Lutterloh system should make that impossible, I knew it would be too long but too wide? With the alterations done the fit was much better. 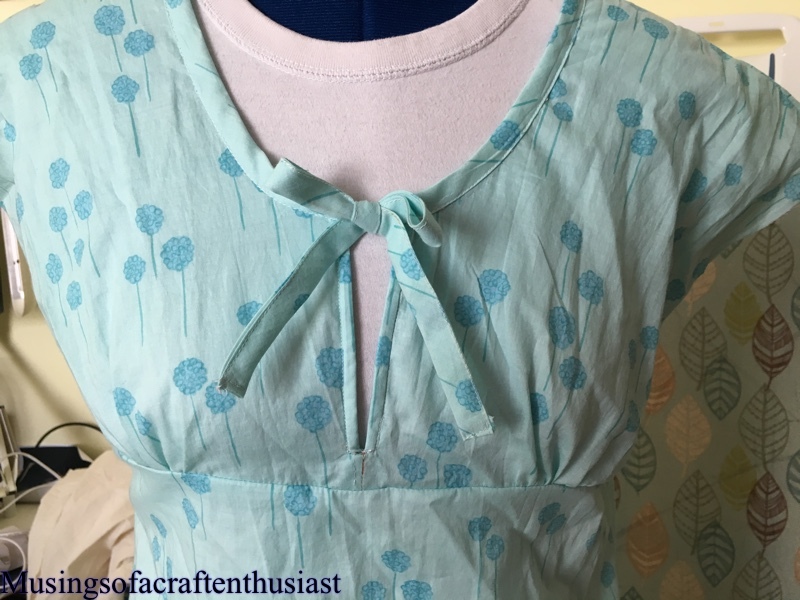 With a couple of changes I decide to make it up in a cotton lawn, I had taken ½ in out of the bust piece, which I put back as it didn’t appear to be long enough, I took ½ in out of the under bust piece instead. I actually practiced the neck welt before attaching. The dress looks lovely however it is very see through and there are a couple of things I should have done after the muslin and before the fashion fabric. 3. Most Importantly I should have lined it as I went along. 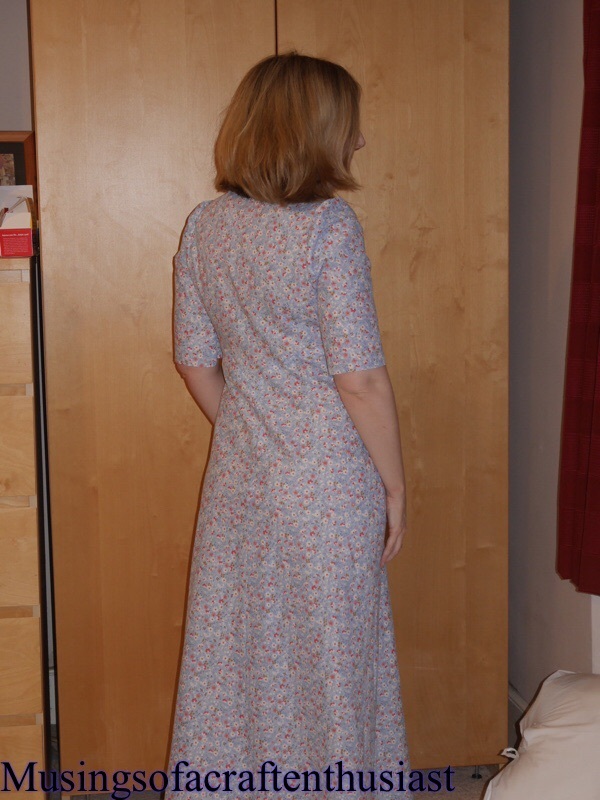 The dress, with a bit of tweaking will be a beautiful summer dress but not this particular version of it. 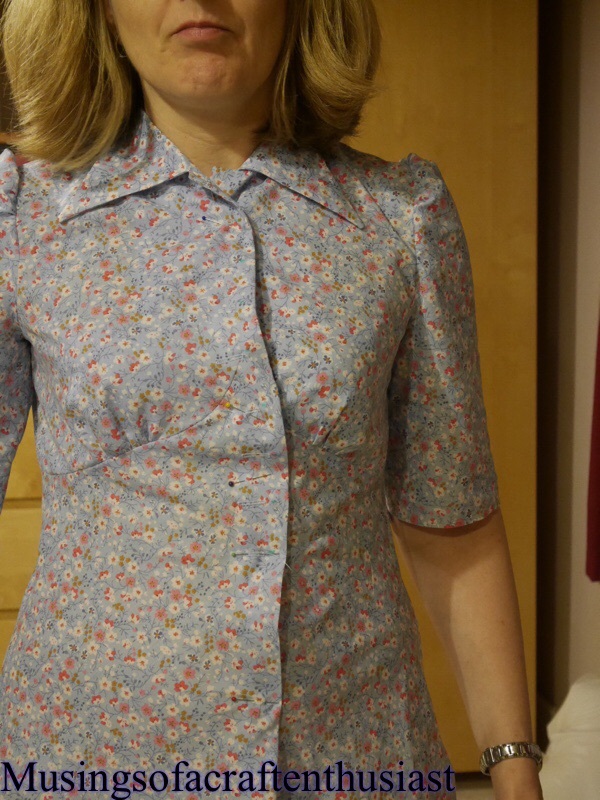 Don’t worry I havent forgotton my Haslam blouse, it is on the back burner at the moment, have you ever had a project that goes together fine in the testing stage but once you get to the actual putting it together what could go wrong will go wrong. 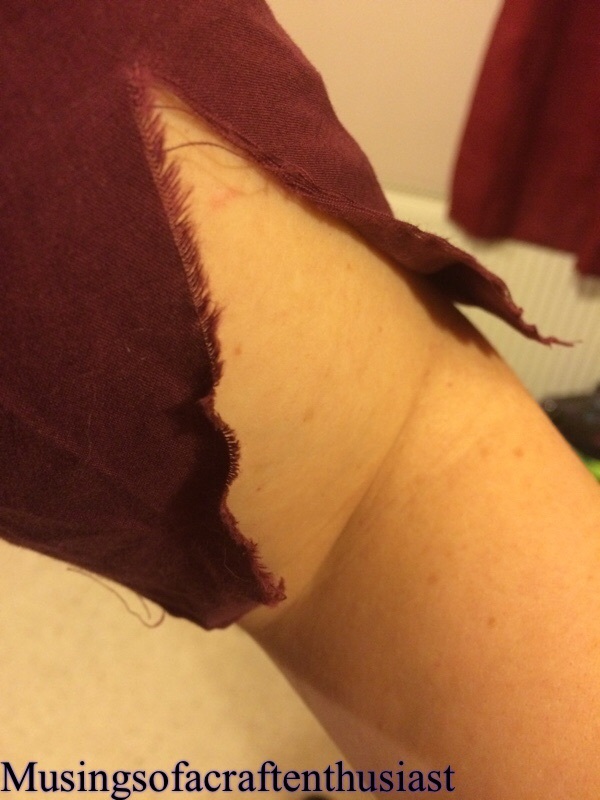 That is my Haslam blouse, first I made a hash of the corner trying to French seam it as per the instructions (got a small hole in the corner 😦 ) the second one I tried went together beautifully, then I noticed a small mark on the front of the section on the one of the fronts, normally I would have just swapped it out, but I’d just overlocked the whole lot, after deciding to give the french seams a miss. 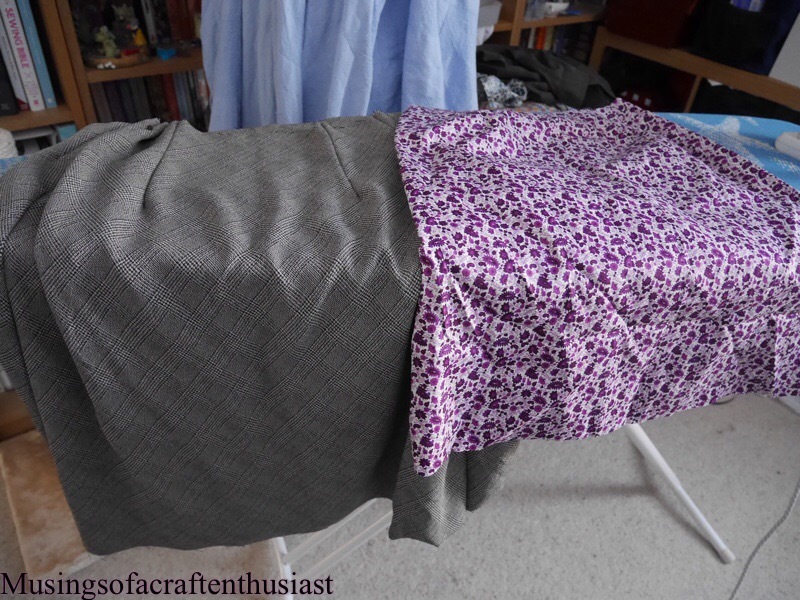 This weekend I have made, or at least started 5 skirts, 3 are all the same pattern and for a friend, she has just had abdominal surgery, and her low waised ‘modern’ skirts and trousers rub in the wrong place, since going back to work she has practically lived in 2 skirts I made her for chistmas. 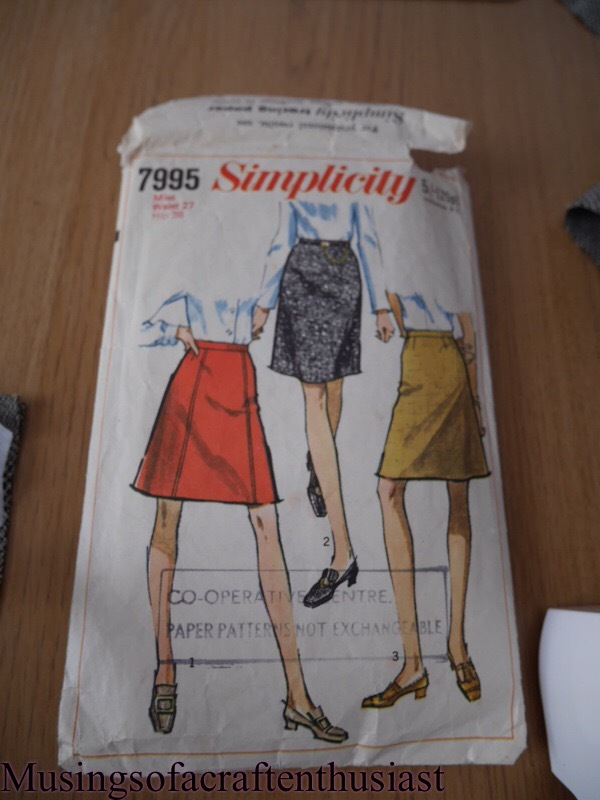 The pattern was created from the Lutterloh 70s book, I have already made another long skirt, but as she is about to go on a boating holiday they are not practical, so using the same pattern, but cutting it shorter here are three more skirts. I made a mistake on my fabric choice for the Haslam skirt, the check doesn’t lead it self to darts and I’m not sure that it can hold the pleats. The skirts are all put together and just need their waistbands and hemming, the Haslam skirt also needs its pleats. Hopefully I can get some photos before my friend goes on holiday. Now this hasn’t been a complete success, but it also hasn’t been a complete failure. The fit was good, unfortunately the choice of pattern was a bit ambitious. 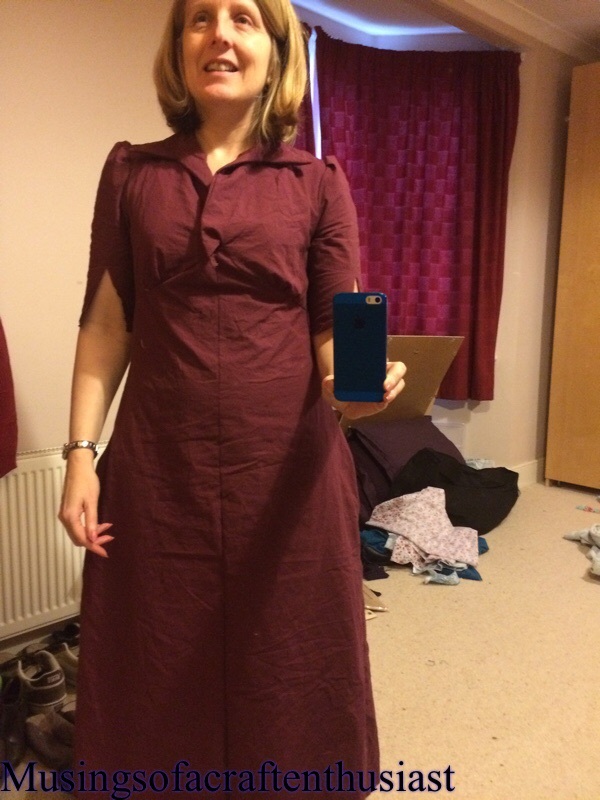 I managed to get the front lying better in the second version than the first version, probably if I made the dress a few more times I would get the stitching right. I can’t get the front to line up properly, the two fronts curve up under the bust, one side following back down the other, just in case you think it’s because, it’s too small across the chest, it didn’t matter what I did even just laying it on the bed with nothing in it it wouldn’t lay properly. As you can see the back looks good, I think I probably should have taken an inch out of the skirt length as it is laying a bit low across the hips. I might fiddle with the bodice size as I didn’t have much movement in the shoulder area, but for once I wasn’t swimming in fabric under the arms and across the bust. This picture shows the hip problem quite well. 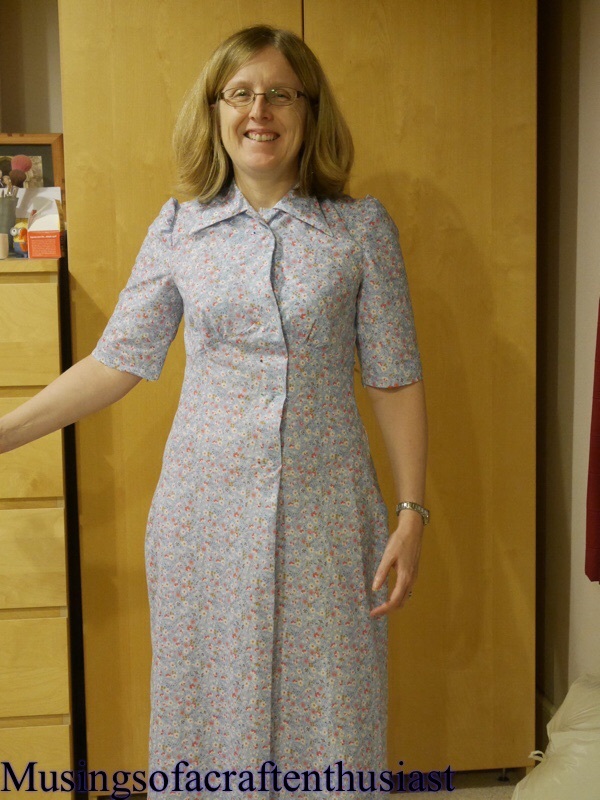 The verdict is that I will make more dresses from the system, but will be more careful in my pattern choices. 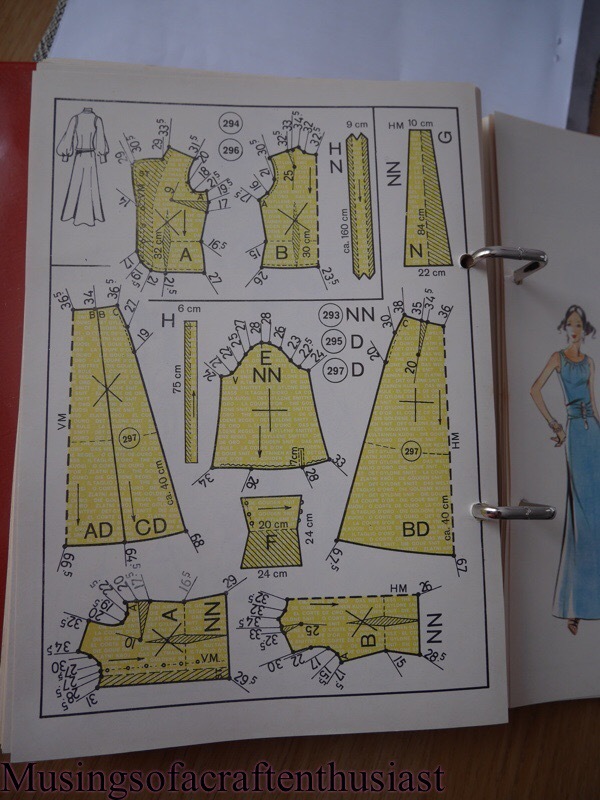 I was very impressed at how easily it was to create the pattern, practice will make the curves (sleeve head) better and I have noticed that the later the pattern the more information you are given for making up the garments. The fit isn’t too bad, it’s a bit large around the hips but that, it turns out is user error, I measured my hips wrong so I’m about 6mm out size wise I don’t know how that equates over the whole pattern yet. the sleeve head is a bit puffy, but I’ve redrawn that using the curve tool that came with my pattern book, its now an inch and a half smaller. then a couple of weeks ago I was lucky enough to win on ebay my very own pattern book, I’m not sure which year it is, late 1940s early 1950s completed with measuring tape and pattern ruler, it looked untouched. 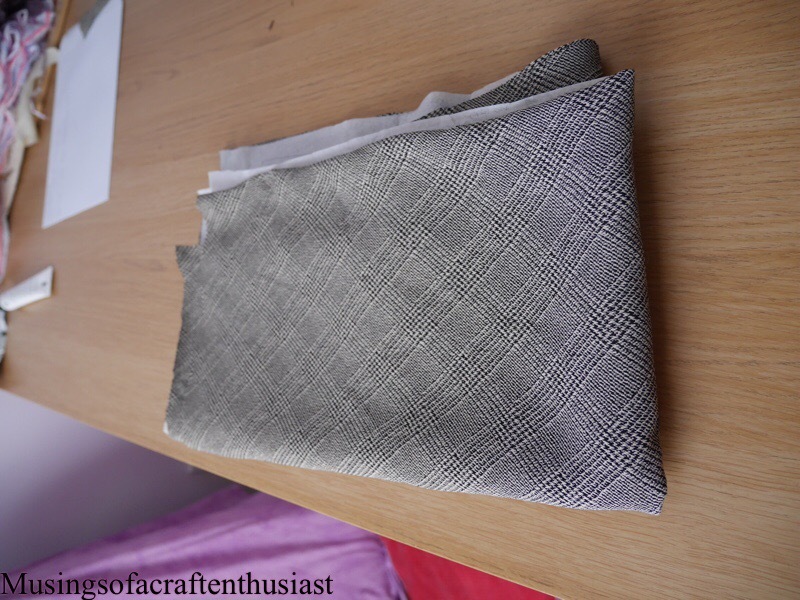 now a lot of the things I read about the system suggests you should work on a vest (waistcoat) pattern until you get the fit right then you will be ready to try a proper pattern, where is the fun in that? 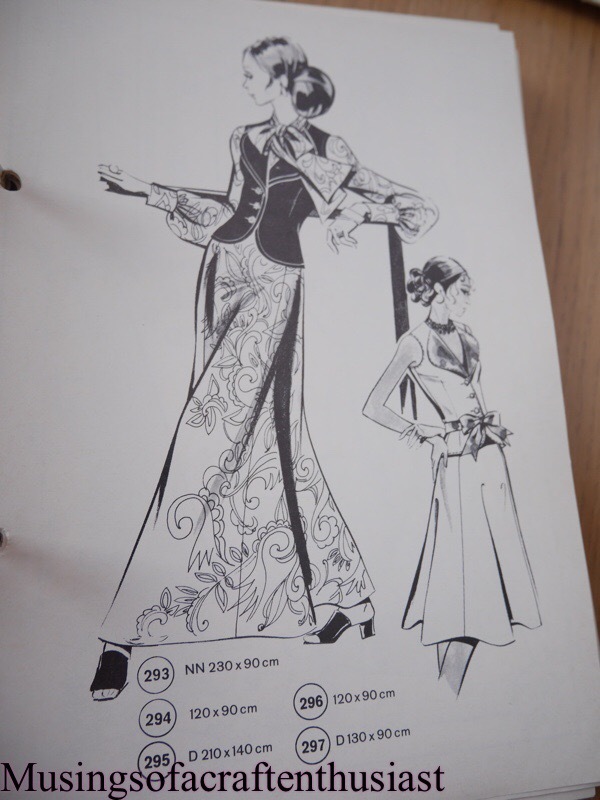 I picked a dress, from my scanned book, no particular reason it just caught my eye. looked sort of easy two skirt pieces two bodice pieces and a sleeve. 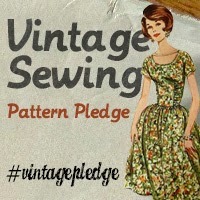 To be fair it was easy, I created my pattern pieces I cut them out on an old sheet, then there was the hard bit. the bodice comes to a point on the center front, the center back point was easy, but at the moment I have a weird I’m not laying down properly lump where the bodice is attached to the skirt. Then there is the sleeves, I was under the impression that they marked the back of the sleeve with an ‘A’ shape I have this symbol on the the other pieces just not the sleeve, it shouldn’t be too hard to work out but even so…. With the best will in the world I don’t think anything will make the skirt look like the pattern, cutting it on the bias might help but there just isn’t the material to get that kind of drape. I am quite happy with it so far though.